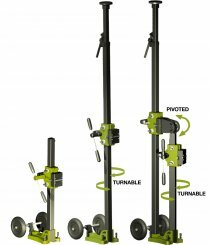 The UVD330 is a Universal Core Drill Stand that can be modified to have a telescopic extended length of up to 3500mm. 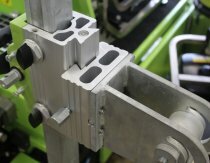 The Modular System can be pivoted and turned for added flexibility allowing for both straight and angled drilling. It can drill multiple holes in various positions with just one set up. Ideal for when fixing to a wall is not possible.